Give your skin the attention it deserves and indulge in the signature Edelweiss European Full Service, 90 minute Facial. Each step of the treatment is tailored to your skin’s individual needs. 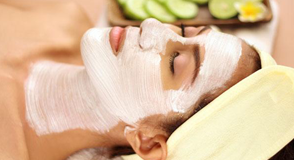 This full service facial includes a professional skin analysis, deep cleansing, steam treatment, exfoliation, black head removal, massage and a facemask based on your individual skin needs! Edelweiss goes beyond the face with a paraffin wax hand dipping treatment and moisturizing foot treatment, for total body relaxation. 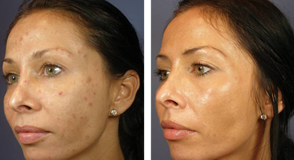 Discover the benefits and results of light-emitting, diode LED light therapy. This relaxing facial combines traditional European facial methods with the scientific advances of LED light therapy. Enjoy a simplified version of an Edelweiss Spa facial in combination with a light therapy session. Choose the light that’s right for you, or let the professional decide! The Blue LED light is ideal for acne prone and oily skin. The Red LED light is ideal for mature and/or dry skin. When you’re short on time, don’t neglect your skin! 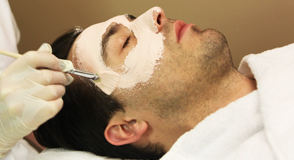 Enjoy total relaxation while getting the efficient facial treatment you want. The Edelweiss mini includes steam for the face, exfoliation, black head removal, a mini-massage and a facemask that is selected for your skin type. This luxurious, antioxidant-rich treatment visibly improves the contour and texture of the skin. It includes a specialized ampoule, Vitamin C fleece mask, detoxifying lymphatic draining massage, and stimulating Kneipp therapy. 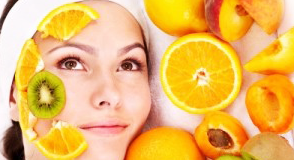 This facial is ideal for maturing and/or dry skin. All sessions include a paraffin hand dip, a moisturizing foot treatment and blackhead removal. Minimize the appearance of acne scars and fine lines with this 40% glycolic acid, AHA peel. The professional grade, Glycolic Peel will remove the damaged surface layers of skin and leave you with a softer and smoother skin texture. This process includes a soothing cream pack and cold spoon treatment. Dramatically reduce the appearance of acne and reveal clearer, more beautiful skin with this profession grade, Salicylic Peel. This peels was designed specially for those with acne prone or oily skin. Unclog pores, loosen blackheads, and refine skin tone. See results after just one session! Keep the skin on your back clean and clear with a deep back cleanse. Take care of those unreachable areas and prevent scarring by letting a professional take care of your back extraction needs. This service is an intensive back treatment that includes cleansing, exfoliation, extractions and a healing mask. Microdermabrasion is a non-chemical, non-invasive procedure that uses a spray of microcrystals to remove the outermost layer of dry, dead skin cells to reveal younger, healthier-looking skin. 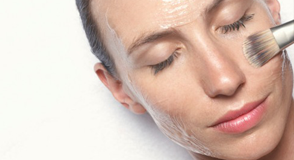 This treatment encourages the production of new underlying skin cells with higher levels of collagen and elastin. 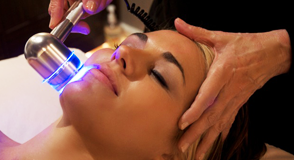 Microdermabrasion is known for its dramatic results, giving you ultra soft, radiant looking skin in a single session. 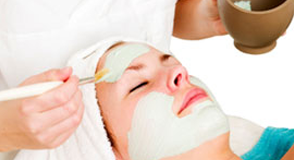 Enjoy a microdermabrasion session and finish off with a relaxing facemask. This treatment is not recommended for those with broken capillaries.